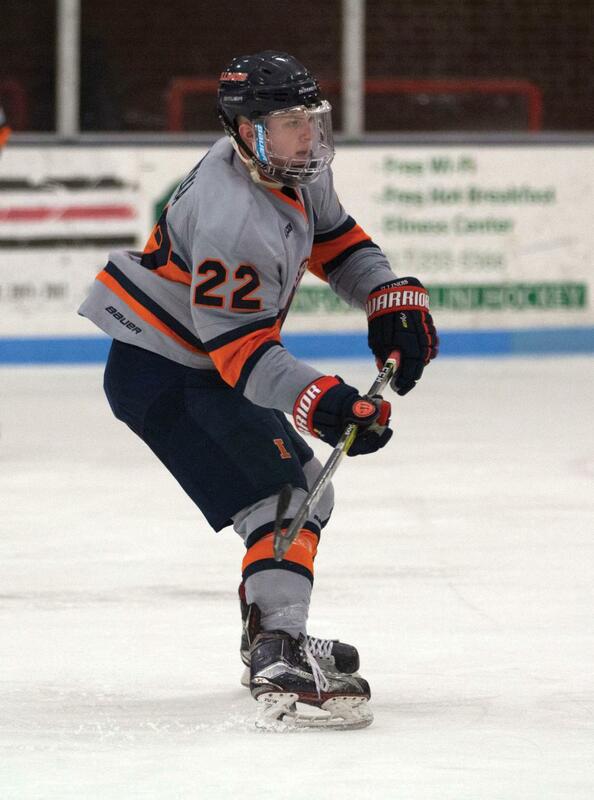 Tyler Opilka (22) passes the puck across the ice to a teammate at the Ice Arena on Saturday, Feb. 18. 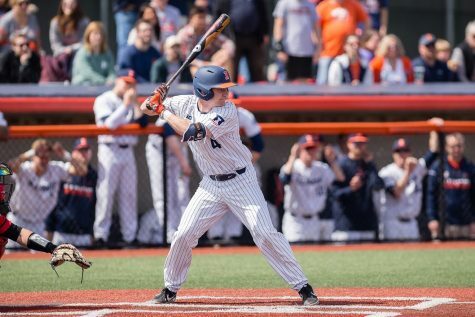 Illini fell to Robert Morris 3-2. 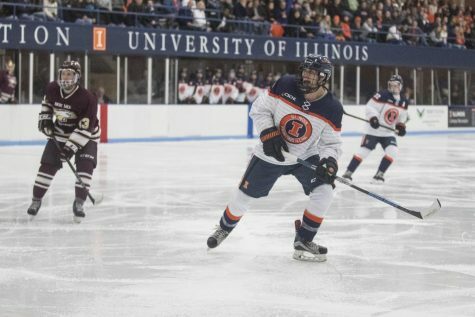 Illinois hockey split its weekend series against Lindenwood, suffering its first loss of the season but still acquiring point majority thanks to an overtime loss and a win in the series finale. 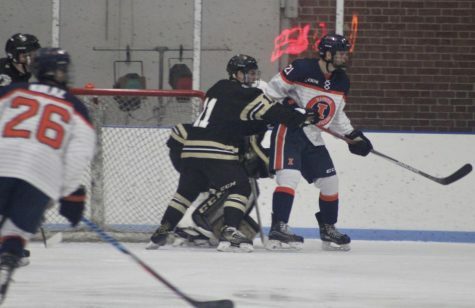 Game one went to Lindenwood, as the Lions defeated the Illini in a 3-2 shootout. 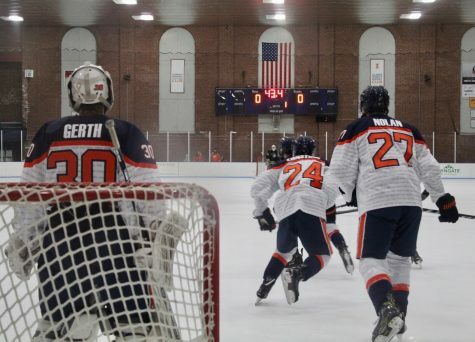 The Illini found themselves facing a 2-0 deficit heading into the second period, but they scored three goals in about a three-minute period to take a 3-2 lead. 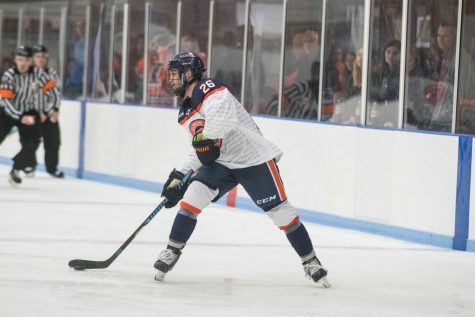 Junior defenseman Tyler Opilka was the first Illini to get on the board when he fired a snipe from the blue line for a goal with four minutes left in the second period. 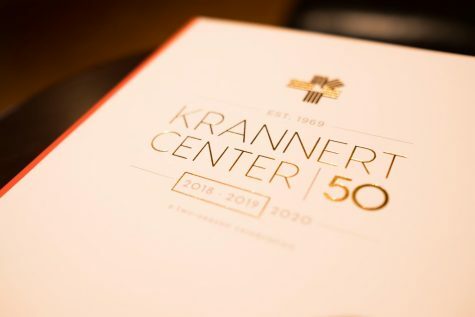 Junior forward David Kellner tallied the second goal after sophomore forward Robert Ernsting forced a turnover along the left boards and senior forward James McGing hit Kellner on the two-on-none to get the goal. Defenseman Jack Graham picked up the third goal with 56 seconds left after he buried a loose puck in front of the net. 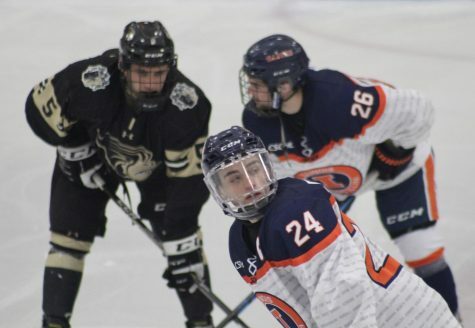 But the Lions came back strong in the third to tie the game up, and they outlasted the Illini in the shootout when Alex Kalau netted the game-winner to give Lindenwood the 3-2 shootout advantage and the overall 4-3 win. 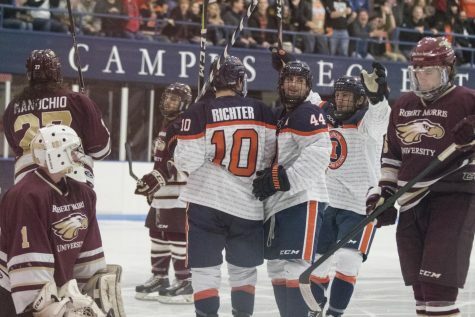 Illinois still does get a point out of that situation, so taking the loss in overtime on the road still put them in a spot to win the overall majority in points on the weekend against Lindenwood. And that’s exactly what the Illini did when they took down the Lions 3-1 in the series finale on Saturday. 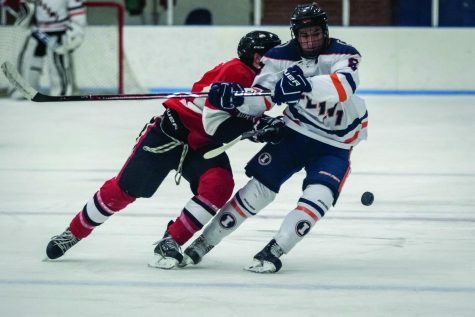 “This is the first time in mine and a few other guy’s career beating Lindenwood at their home rink,” said senior Eric Cruickshank. “I’m pretty speechless at this point. No scoring broke through in the first period, but Ernsting soon changed that when he fired a shot from the left faceoff circle to give his team the lead. Senior defenseman and captain Joseph Ritondale followed suit with a goal of his own with 5:44 left to go in the period. The Lions did eventually get on the board in the third period thanks to a goal from Kalau, but a turnover at their own blue line allowed for McGing to sink the empty-net goal with only 51 seconds left in the game, essentially securing the victory. 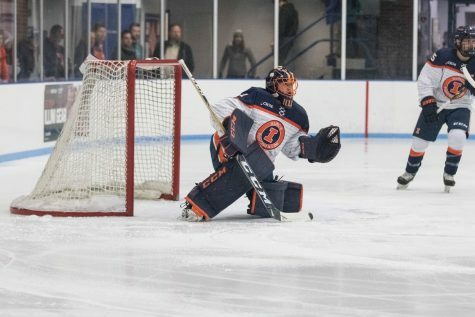 Senior goaltender David Heflin did say that Lindenwood is normally his “kryptonite,” but didn’t let that stop him as he came up huge for Illinois in the Saturday game, stopping 35 of the 36 shots he faced. 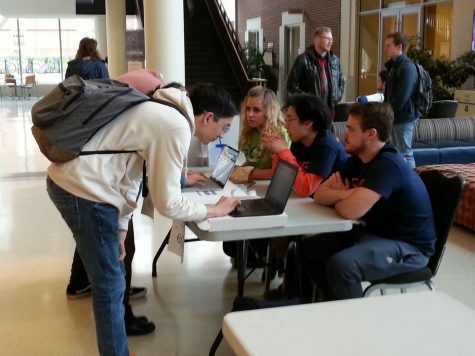 Illinois will be back in action next week at home when they face Iowa State, and winning majority points against Lindenwood is a big confidence for the team heading down the stretch.